As Latin America’s Pink Tide sweeps across Europe, what are the prospects for a more progressive brand of politics in South Africa? Analysts argue that the expulsion of Zwelinzima Vavi and Numsa from Cosatu, by a faction sympathetic to President Jacob Zuma, have clear consequences for a major re-alignment of labour in South Africa. Perhaps more importantly, it forces to the fore, significant consequences for the re-alignment of politics in South Africa. Numsa, the radical metalworkers’ union, is in fact hosting a Conference for Socialism this very week to determine whether the ground in South Africa is fertile for the seeds of a socialist future to be sown. The media as well as commentators on the left quickly dubbed Numsa’s Movement for Socialism, a “Workers’ Party,” despite the trade union repeatedly making cautious statements about the enterprise being very exploratory in nature. Meanwhile Numsa’s extremely cautious stance on the so-called Workers’ Party has fuelled scepticism about its confidence levels. Be that as it may, South Africa’s left has been full of anticipation for a new brand of progressive politics ever since Numsa’s December 2013 announcements. The idea of a Workers’ Party appears to have taken root, in large part, because South Africa’s leftists covet an alternative political party to challenge the ANC. In the early days of Vavi’s suspension from Cosatu, some even speculated that he might be the perfect candidate to head the party. 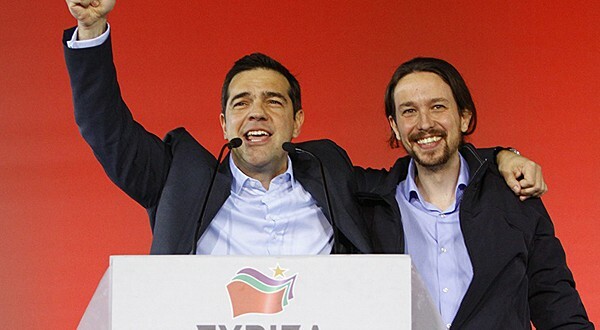 The leader of Spain’s Podemos party – the charismatic Pablo Iglesias who has massive pubic appeal – is a scholar of radical Latin American politics. Could Numsa, who are known to be undertaking international study tours and hosting socialist symposiums that include the participation of international socialist parties, emulate Podemos’ success? The onset of 2014 looked particularly promising for far-reaching political changes to start taking root in South Africa. Those were heady days for opposition politics across the board. It was an election year and many believed that the blight of Marikana alongside President Zuma’s Nkandlagate scandal would surely lead to losses at the polls for the ANC in the country’s fifth General Election. It’s not just Numsa’s structures that present challenges, but the South African public, which presents its own set of problems for political education and mobilisation. The Indignados movement brought millions of tech savvy youth out onto the streets who, even after the disbandment of their street camps, were able to remain connected via social media platforms on the Internet. Technology continues to play an enormous role in the rapid success of Spain’s radical politics. Podemos uses Internet platforms to foster a form of direct democracy with its social base, giving people greater agency whilst simultaneously winning more support. In Spain, more than 74 percent of the population is online. Here in South Africa, a recent report notes that nearly 60 percent of South African households lack any access to the Internet at all. The figure for rural areas stands closer to 80 percent. On the other hand, regarding social conservatism, a recent Pew study into the expansion of religion worldwide argues that Sub-Saharan Africa will experience the highest growth. At the same time, the developed world is becoming more secular. Whilst the left neglects this issue to its detriment, “prosperity theology,” which promises financial blessings to its followers, is growing at pace in South Africa. It poses one of the biggest obstacles to political conscientisation amongst the general public. SACSIS is the brainchild of Fazila Farouk. She qualified with a M.Sc. in development planning from the University of Natal in 1996 and has worked in civil society ever since. Fazila has also completed a Ph.D-level course in social theory at Wits University's School of Public and Development Management, which she passed with distinction. Fazila's experience includes research, policy advocacy and new media. She has written extensively about civil society and development in South Africa. Previous: Labour Rights and Karoo Farmworkers: Can Power Relations Be Challenged?